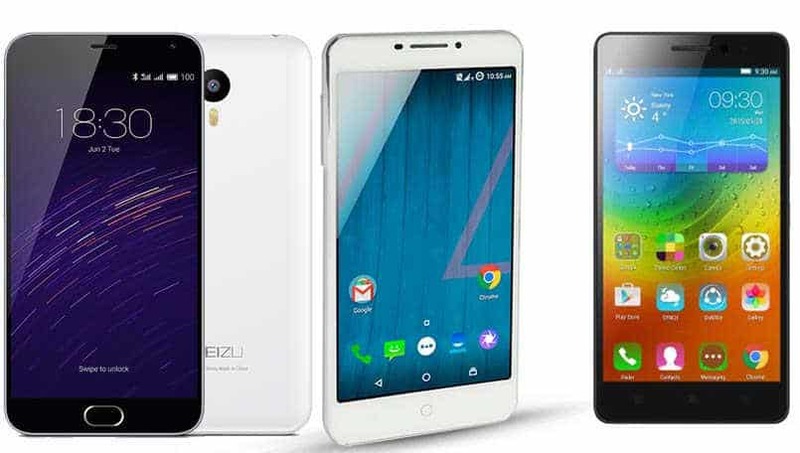 Meizu M2 Note, can it beat Yu Yureka Plus and Lenovo K3 Note? Today, Meizu announced that Meizu M2 Note will go on sale in India next week carrying a pricetag of Rs 9,999, the same price segment within which phones like Yu Yureka Plus and the Lenovo K3 Note lie. The Rs. 9,999 tag puts it on the line with the Lenovo K3 Note and Yu Yukera Plus, so we will be comparing all three devices in terms of price, specs and features. Let’s get started. Price: Price is a major factor for smartphone buyers in India. All the three smartphones are quite similarly priced. The M2 Note and the K3 Note are priced at Rs 9,999 each. The Yureka Plus too was launched at Rs 9,999, but Yureka Plus recently got a price cut, and the price dropped down to Rs 8,999. At this price, the Yureka Plus is currently the most affordable smartphone in India with a 1080p display, which might attract a lot of customers. Display: All these smartphones are the three most affordable smartphones in India with a 1080p display. The size of the screens is the same as well at 5.5-inches, however the Yureka Plus gets a lead for the lesser price. Processor and RAM: All the three smartphones are powered by 64-bit octa-core processors, but have differences. The M2 Note is powered by a MediaTek MT6753 chipset, the Yureka Plus by a Snapdragon 615 chipset, and the K3 Note by a MediaTek MT6752 chipset. So, the Meizu M2 Note and Lenovo K3 Note seems to be quite similar in terms of processor and Yureka Plus is a different with Snapdragon 615 chipset. However, all these phones have 2GB of RAM. Storage: In terms of storage, all of them win, nobody lose. All of them come with 16 gigs of inbuilt storage which can be further expanded via microSD card. Camera: If we look at the specs sheet, there is no difference among the three as all of them feature a 13-megapixel rear camera and a 5-megapixel front facing camera. However, the performance may vary under many circumstances. So, I wouldn’t comment on it until I try the Meizu M2 Note. Battery: In terms of battery, the Meizu M2 Note surely wins. The Meizu M2 Note has the biggest battery among all the three phones having 3,100mAh battery under the hood. The K3 Note is just a little behind at a 3,000mAh battery, while the Yureka Plus lags far behind with a 2,500mAh battery, which is quite disappointing. Connectivity and OS: All the smartphones feature dual-SIM card slots, 4G LTE support, Wi-Fi and Bluetooth. On the software front, the three smartphones run on Android Lollipop. On the M2 Note Flyme 4.5 UI is topped with Android Lollipop, the Yureka Plus runs on Cyanogen 12 OS, while the K3 Note runs on Vibe 2.0 UI So, there is no difference in terms of Android versions, but in terms of customization I think Yureka Plus has got some advantage with Cyanogen 12 running. There is very little differentiating the three smartphones in terms of specs on paper. The Meizu M2 Note, Yu Yureka Plus and the Lenovo K3 Note are priced quite similarly, and all of them have similar specs and features. However, I made a little conclusion on which one is best in terms of Price, Hardware, battery, display and OS. if you need the cheapest phone with a full HD display, just go for the Yureka Plus as it costs Rs. 1,000 lesser than its competitors. But, in terms of battery Yureka Plus performs the worst having a 2,500 mAh battery under the hood and Meizu M2 Note beats everyone in case of batter. Again, in terms of OS, Yureka Plus seems to be a little better with Cyanogen 12 on top of Android Lollipop, and same thing applies for the processor as it has a Snapdragon 615 packed with 2GB of RAM. So, I will provide the final judgement after I put my hands on Meizu M2 Note as the camera needs to be compared with the other devices. meanwhile, you can take a look at the specs comparison sheet for Meizu M2 Note, Yu Yureka Plus and Lenovo K3 Note.